Research shows that as a result, a significant number of these women suffer from Post Traumatic Stress Disorder (PTSD). The symptoms of PTSD (high levels of anxiety and depression, sleep disorders, reliving traumatic events, etc.) can become even more pronounced in recovery when drug use is not “medicating” them. Women who are unprepared with coping tools can easily slide into relapse. 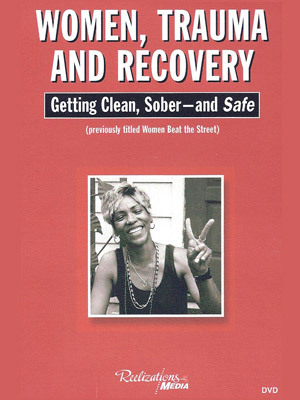 WOMEN TRAUMA AND RECOVERY presents the poignant testimony of five recovering women with PTSD. All of them suffered unspeakable trauma, yet are remaining clean today, because they are aware of and addressing these issues. Together with relevant expert testimony, these women provide useful strategies for avoiding relapse, as well as the inspiration and hope many viewers await.